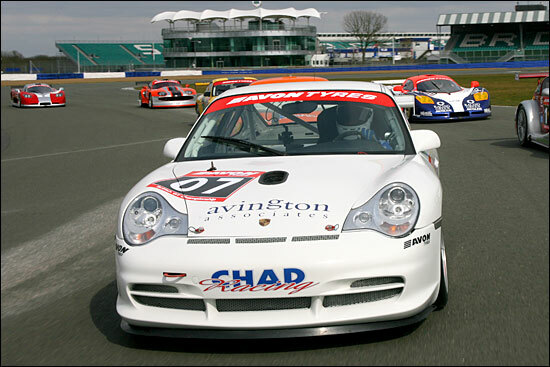 After a toe-in-the-water outing at the (August) BGT Silverstone round last year, Chad Racing will be competing in the full 2006 championship with a Porsche 911 GT3 for Andy Allen and Pete James. Neither driver had taken up racing until the turn-of-the-millennium was but a distant memory, but both have made up for it since then. Allen started out in the Kumho Tyres BMW Championship in 2001, finishing fourth that year (before winning the title in both the following two years), while James started out in Caterham Roadsports before moving to Superlights. 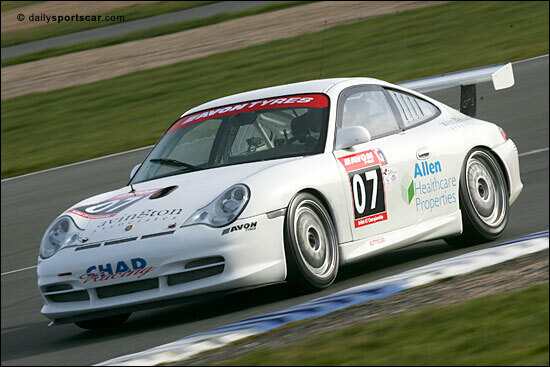 Britcar followed for Allen in 2004 (with his BMW M3), before he teamed up with James in the Porsche at Chad in 2005. A highlight of the Britcar season was an excellent fifth overall finish at the inaugural Britcar 24, where the pair shared with Calum Lockie, Bo McCormick and Phillip Harris – Chad’s other 911 finishing a fine second. But Britcar and BGT weren’t enough for team and drivers in ’05, so they also took part in selected rounds of the Belgian Touring Car Series and the VW Fun Cup, including the Spa 25 Hours in the latter series. “Consistent point scoring is how you win championships; not necessarily by winning,” continued Andy Allen. The car is Dave Pinkney’s Porsche Cup car from 2003. Among its many rivals in GTC will be two Ferrari 360s, with former Chad pedallers Nigel Greensall and Calum Lockie sharing those two.